We are at the end of the prime Zucchini season - Zucchini is in season May-September so time to enjoy it while it is at it's best! So I thought I would share our family favorite recipe from Mama Cavanaugh for super simple Zucchini Parmesan. And friends, I am not joking when I say this is easy, so easy! 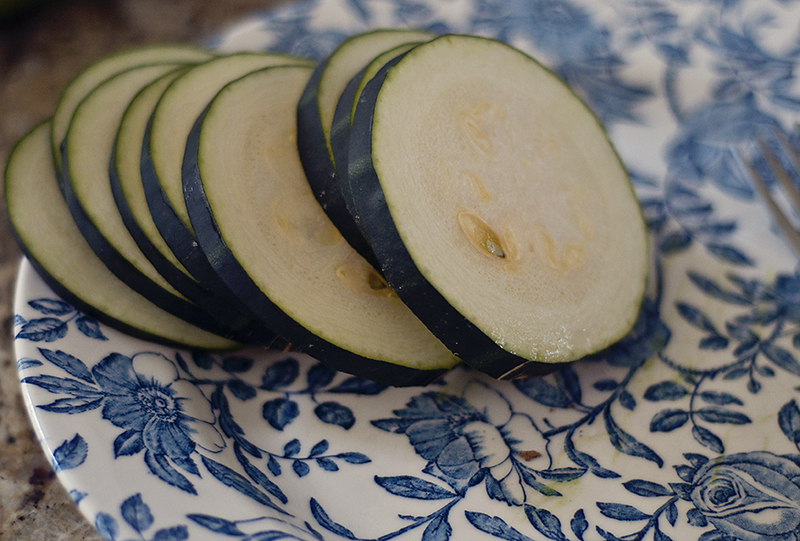 Slice up your zucchini, a little thick, not too thin. 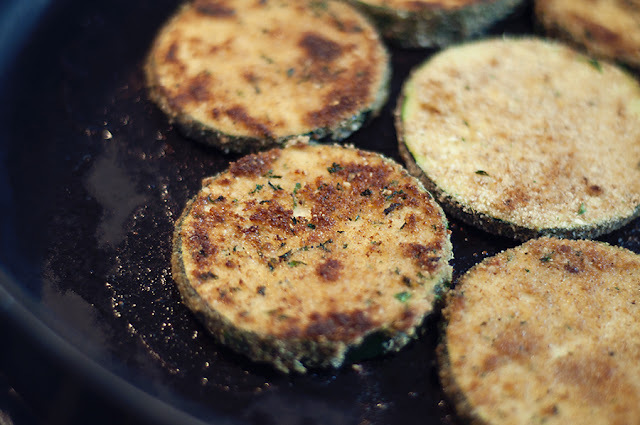 Next, fry them up in a pan, over medium heat, about 3 minutes for each side. 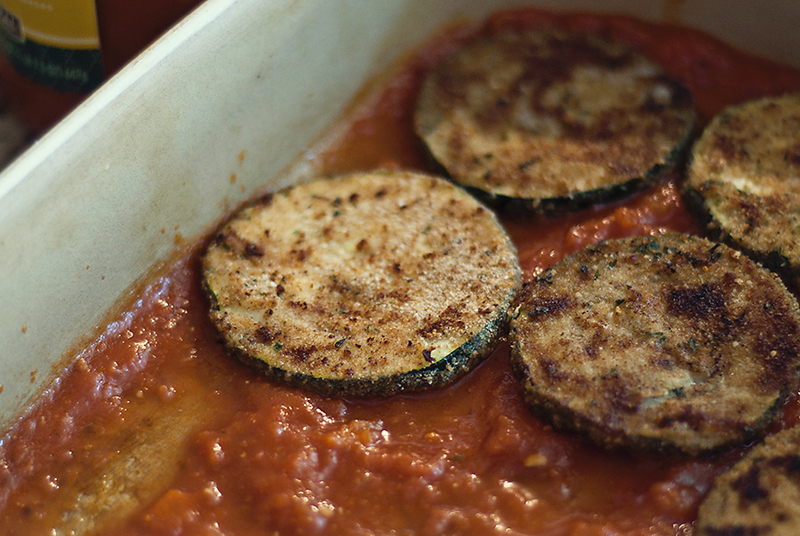 Spread a layer of sauce on the bottom of a baking dish and lay out the fried up zucchini on top of the sauce. 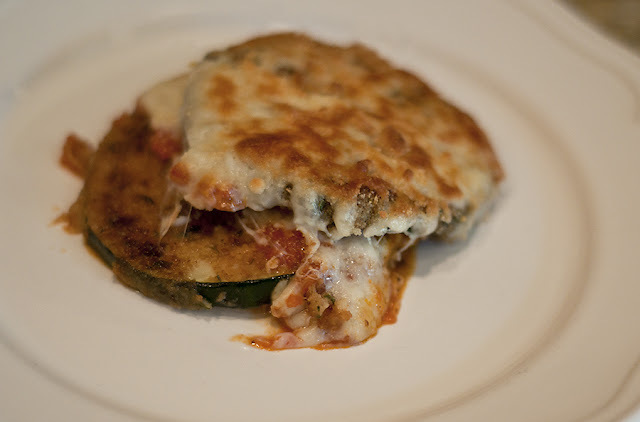 Top with a generous layer of mozzarella and sprinkle with parmesan. Broil in oven to melt the cheese, as long as your liking. I broiled mine for about 10 minutes. The family devours this meal! I should have doubled it. Even our pickiest eater got herself two servings! And it's easily a 30 minute meal. Can't complain with that!